Want to hear great stories? Make a difference in your community? We have just the way! 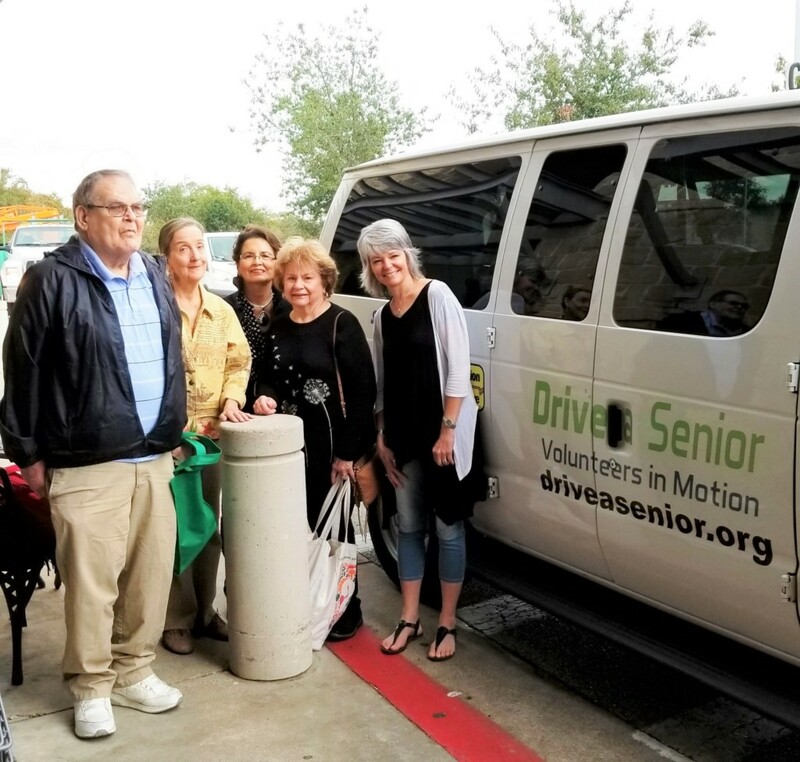 Seniors who no longer drive are in great need of transportation to their medical appointments, the grocery store — all the same places you and I get in our car and go to without a second thought. Just imagine not having that freedom. Seniors without wheels either go without, or go at the convenience of someone else, if there IS someone else. 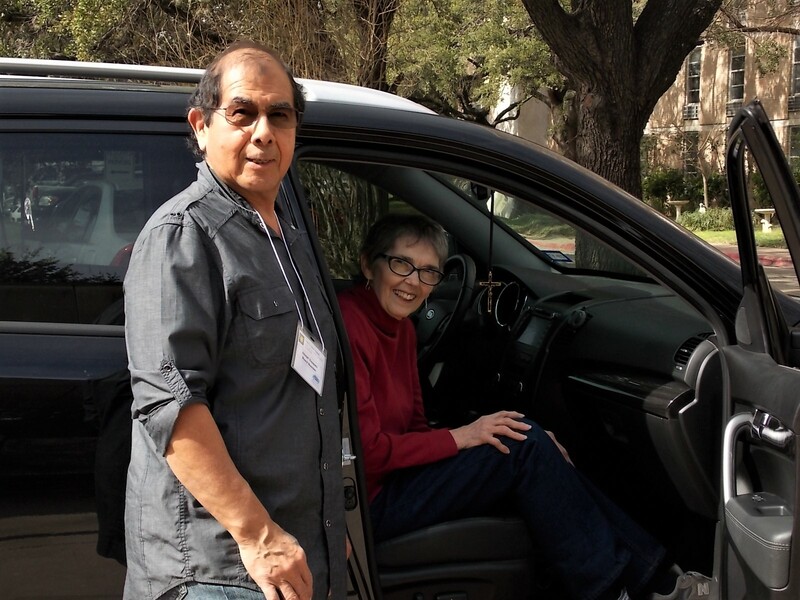 For many of our senior passengers, we are their ‘someone else.’ Drive when and where you’re available with no minimum time commitments. It’s easy to Pay it Forward!!! Seniors must be 65 or older, no wheelchairs, and living independently. (Please contact us for other qualifications.) 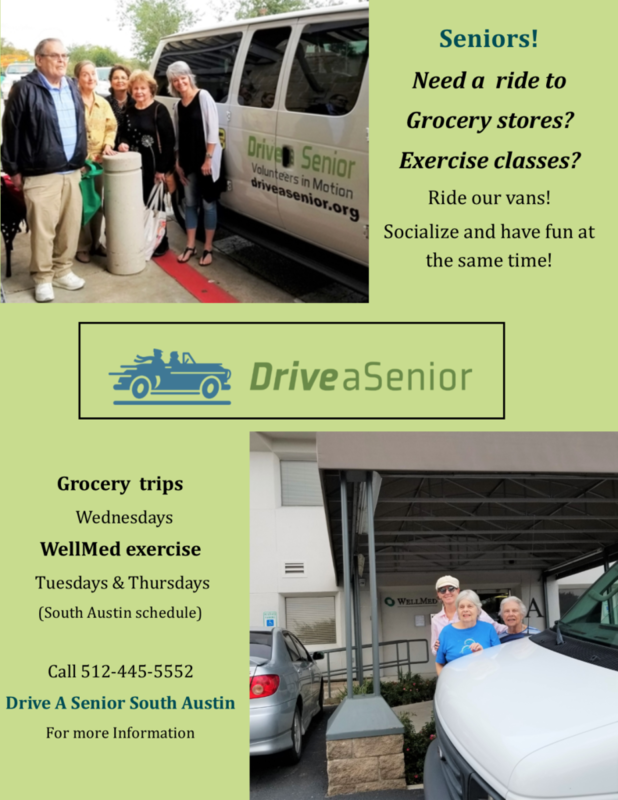 We serve primarily south of Cesar Chavez, west of Pleasant Valley Road and east of Hwy.290/71 W. This region includes the neighborhoods of Barton Hills, Zilker, Bouldin, Travis Heights, South Congress, South Lamar, Westgate, Sunset Valley, Oak Hill, Garrison Park, South Park Meadows, Circle C and Western Oaks. Other ways you can help …. SHARE SOME OF YOUR TIME: We need committed board and committee members to help us grow our organization. Enjoy planning fun activities? 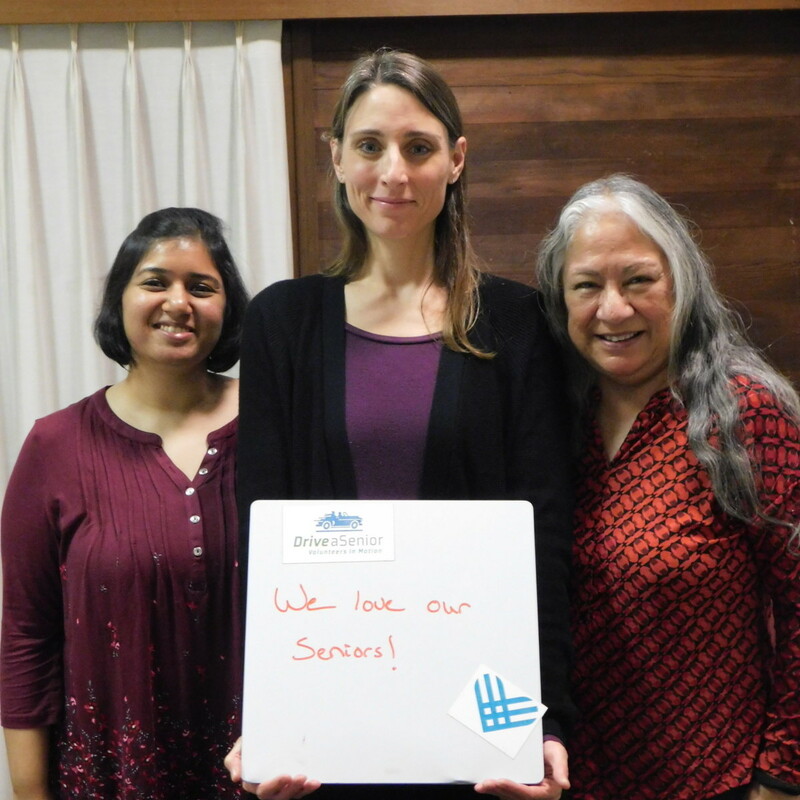 We need help with planning and facilitating fundraisers and client events. Enjoy meeting people? 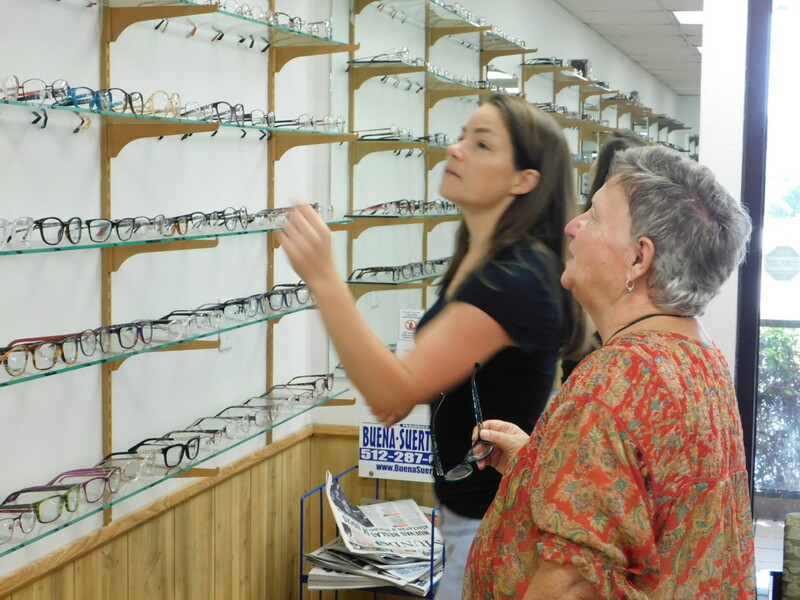 Help us get the word out to our South Austin businesses and neighborhoods. 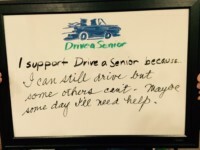 Make Drive a Senior – South the recipient of your Amazon Smile program. Whenever you make a purchase, Amazon sends us a “finders’ fee.” Just visit Amazon Smile and select South Austin Caregivers to receive donations from eligible purchases before you begin shopping. After you’re registered your smile.amazon.com purchases will result in a donation. Donations do not increase your purchase price. You shop … Amazon gives! 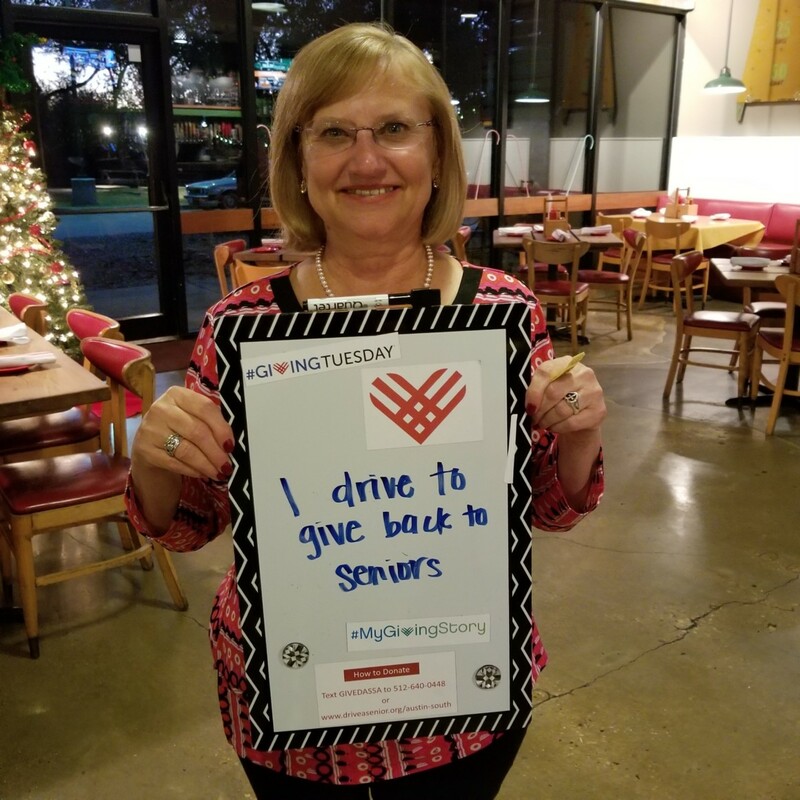 Our monthly pledge program is a community of monthly donors committed to helping us help others while keeping our services free of charge to all clients regardless of their ability to pay. 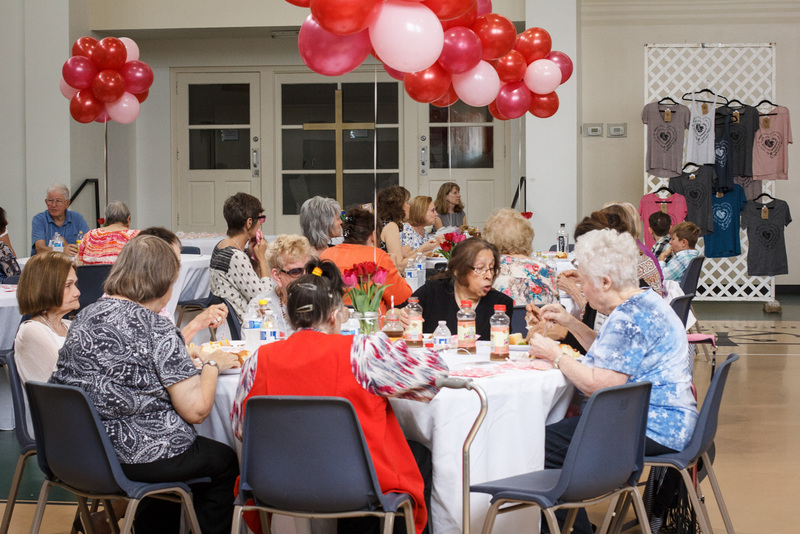 Members are recognized in publications, events and an annual Circle of Aging member celebration. We provide postage-paid envelopes to mail in monthly donations – in any amount. Membership is voluntary and there is no contract to sign. 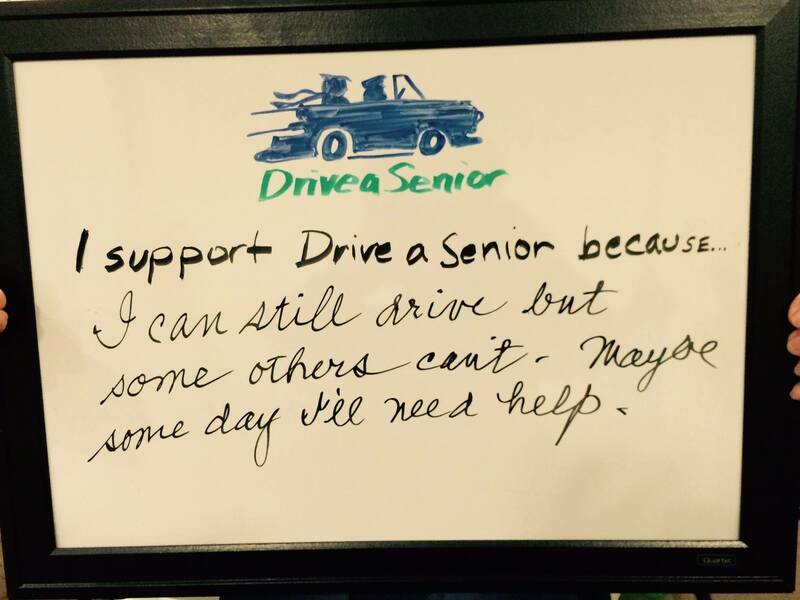 Contact sa@driveasenior.org for more information. 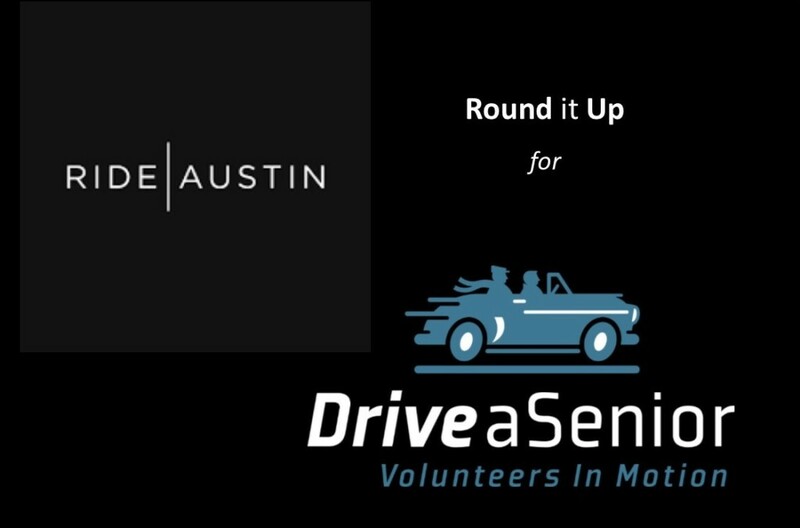 The next time you need to get around in Austin, leave the driving to Ride | Austin and ‘Round Up’ for Drive a Senior in the app. We get the difference between your fare and the next whole dollar. Your extra change will make a difference to many older adults! Every time. 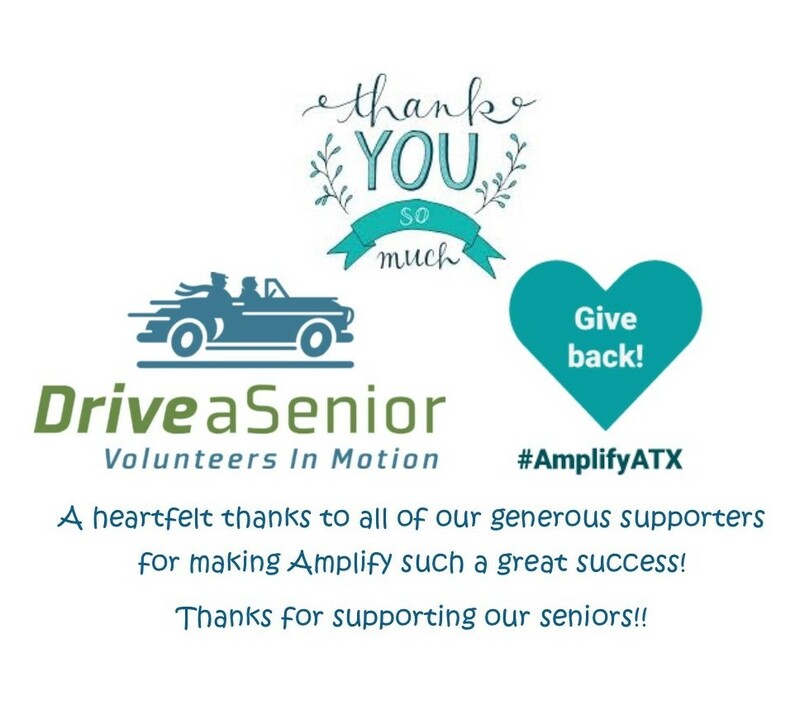 We appreciate the generous support of these congregations ….